Home / alexa / alexa rank / hosting tips / search engine optimization / seo / seo tips / Top 5 Tips to Increase Alexa Rankings in no Time! The only thing that the new Bloggers crave for is a Respected Alexa Traffic Rank. It’s this holy Alexa which decides your market value in the internet world. The better the Alexa rankings of your website, the stronger your existence is. 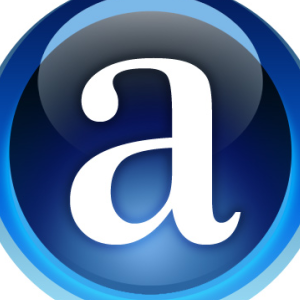 Moreover, the advertisements offered on your web pages totally depend on your Alexa Ranking. Alexa.com is subsidiary of Amazon.com. It is a ranking system based on the level of traffic a website receives from people with the Alexa toolbar installed. "Tips To Boost Alexa Ranking"
However increasing your Alexa ratings is certainly not an easy task and needs a lot of hard work. It’s surprising that being familiar with the importance of Alexa Rankings, the new bloggers still don’t actually know how to improve their ranks. Advertisers and webmasters look on your Alexa rank as a means of determining your sites popularity and importance on the web. This can be very important if you plan to sell your site in the future or if you want individual advertisers to look your way. Realizing the significance of improving Alexa Traffic Rank, here are some quality tips that can work out for you. An interesting thing which people might not have realized is that you can always get a better Alexa ranking if you use Alexa wisely. The first step is to download Alexa Toolbar; from here you can download Alexa toolbar. Alexa toolbar is the best way for them to monitor the stats of a site and when a visitor visits your site from a browser with Alexa toolbar, that certainly turns into a productive measure for your blog. Alexa rank is directly related to traffic coming to your site, so more traffic you are getting, you have more chances of getting higher rank in Alexa Website rank. 2- Write Great – feel Great – enjoy Great! You need to understand that it’s not about money making, yes it matters but you make money by the content you share with your readers. The most basic yet important factor that you need is a sound and strong readership for your blog. You need to keep your blog attractive enough to grasp a good traffic. The better you write for your blog, the more traffic would come to you and the better the Alexa ratings would be. The next thing is to concentrate on Google. You should work on gaining Google’s attention to your website, which is only possible to understand the strategy of choosing the topics of contents that are loved by Google, like how to, top 10, FAQs, helps, etc. A good blog is not only the one with great content, it is the with consistent effective writings. You need to be regular in giving your best shorts each time to make people realize that you are simply the best among all your competitors in your niche. Write regularly for your blog and that will definitely help you to increase your Alexa rank. You must write 1-2 post daily if you are a beginner in blogging career to keep your blog alive. The consistency in your posts will definitely effect your Alexa Rankings as well as it will increase the chances of making your website search engine friendly. 4- Medal yourself with Alexa Widget! Have you ever thought why the famous Fashion Designers or Hair Dressers always frame their winning awards and place them on the wall of their offices? Obviously to show off! This is exactly what you need for your blog. Having an Alexa widget on your blog/website will help you to increase Alexa ranking. It will show the current Alexa ranking status of your blog/website, improving your credibility in front of your readers. All you have to do is register your blog/website to alexa.com and paste the code in the source code of your blog. Another great way to increase Alexa rank is to write guest posts. Guest post will help you to build Link Baits, the more the back links, the better will be the Alexa rank and sites linking in number will go high. Promote your website as much as you can to make it popular among the people. Don’t forget that you need to generate a good amount of traffic to increase your Alexa rankings.